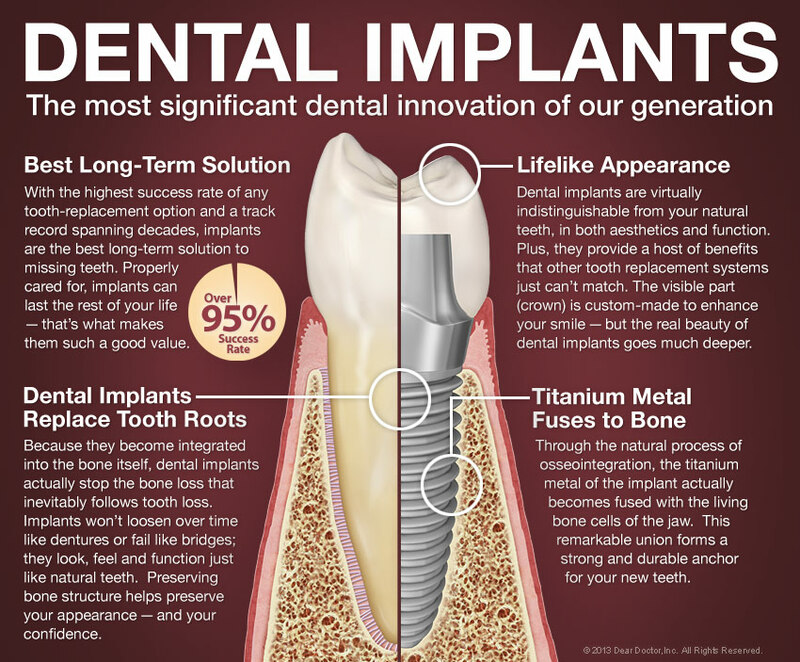 Other than dental implants, your tooth-replacement options include fixed bridgework that incorporates or uses the adjacent teeth. You should be aware, however, that the disadvantage of both of these options is that they may damage the anatomical structures on which they rest. For example, fixed bridges rely on support from two adjacent, possibly healthy teeth, which must be filed down and capped; this can make them susceptible to decay and root canal problems. 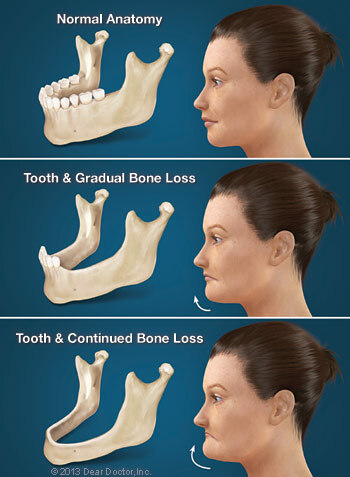 The above tooth-replacement options are all less expensive than dental implants, but only when viewed in the short term. Since bridgework may cause new problems and will likely need replacement themselves, they don't offer the same long-term value. 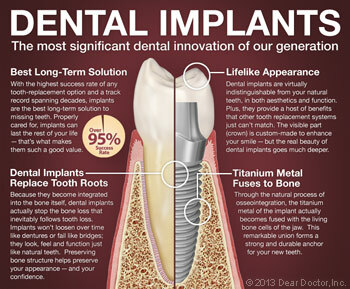 When viewed as an enduring investment in your comfort, health and well-being, implants offer the best return by far.